Other caption slip reads: "Photographer: Wyman. Date: 1956-09-11. Reporter: Adler. Assignment: Stabbing. 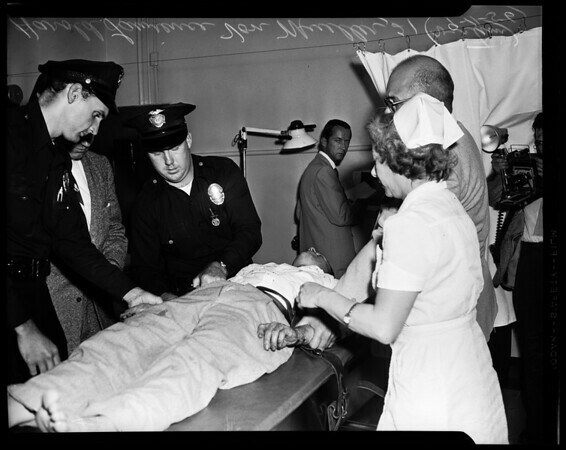 62: Copy of Mrs. Ida Nichols Von Mueller, stabbing victim."